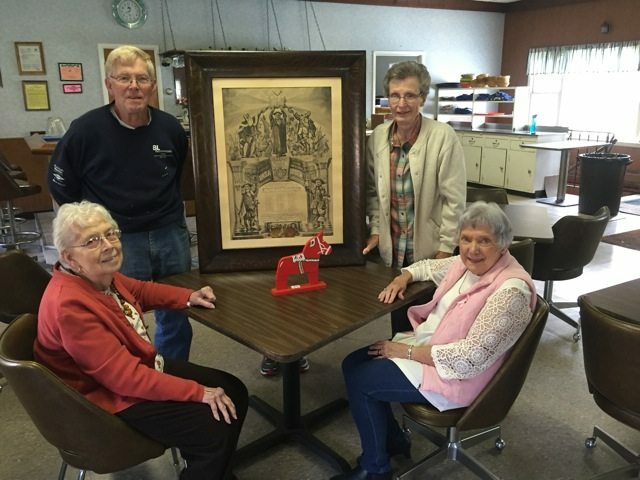 Shown in the photograph with the original 1907 charter are lodge chairman Tom Eckberg and chaplain Diane K. Shaw, standing. Seated are past cultural leader Fanchon Fuller and assistant mistress of ceremony Bernice Veights. 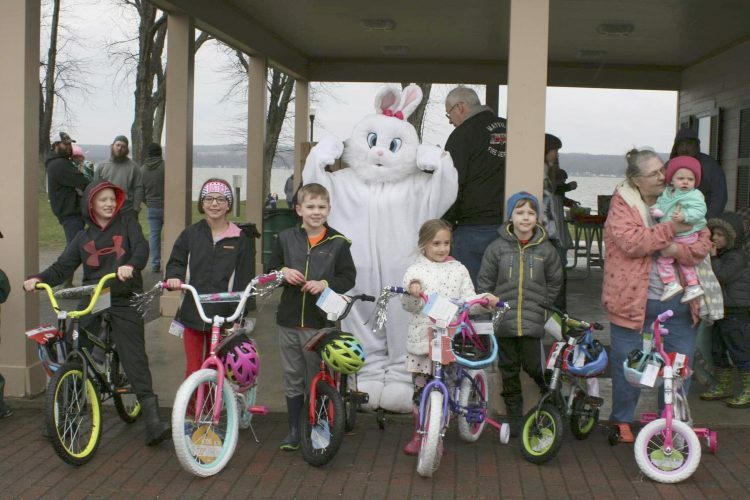 BEMUS POINT — Thule Lodge 127 of Jamestown/Bemus Point will celebrate its 110th anniversary on Saturday at the lodge, 4123 Pancake Hill Road. The Thule Lodge was organized in December 1907 to help the Swedish immigrants settle in the United States with housing, employment, schooling and serve as a social club. Today the lodge serves to preserve the Swedish heritage through events and activities. Tom Eckberg is the lodge chairman and Susan Washington Sipos is the vice chairman. The special anniversary will take place at 4 p.m. Saturday with a special catered Swedish dinner. All members will be receiving a letter with the details asking for a paid reservation. The celebration will include some of the artifacts of the lodge including many of the annual historical books. A book of all the lodge chairman has been compiled and will be available for all to examine. Thule Lodge 127 is a part of the New York District 4, VASA Order of America. At one time, the lodge was located on Pine Street in the city of Jamestown, and moved to the Pancake Hill location nearly 20 years ago. Thule Lodge always welcomes new members.